Saving the planet may not be the first thing on your mind as you look for a wedding dress (though if it is, we salute you). 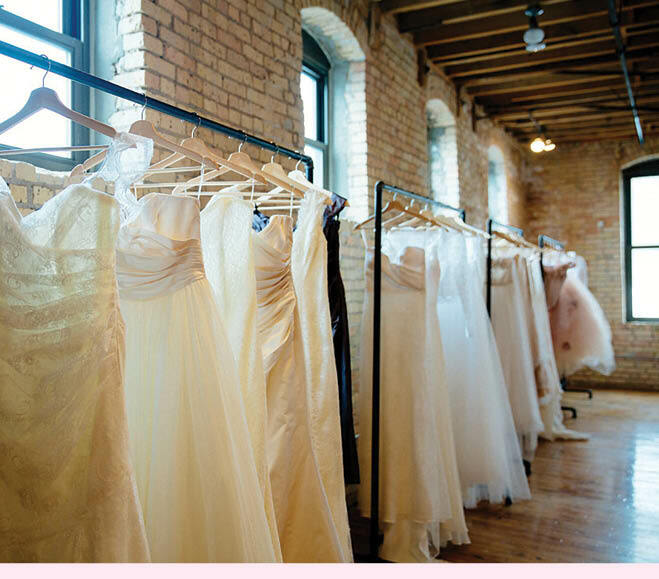 But at Minneapolis’s appointment-only Beauty by Design bridal shop, just outside the North Loop, you can look good while doing good. All the dresses that owner Deborah Block carries and creates are ethically made, which means that the artisans hand-sewing your dress are paid a fair wage for their work. Further, four of the six brands Block sells are made using sustainable, eco-friendly or fair-trade fabrics. In addition to designs like Celia Grace’s romantic silhouettes and Pure Magnolia’s recycled fabric classics, Block designs custom gowns for brides looking for something extra-special—all made, of course, with Earth-friendly fabrics.